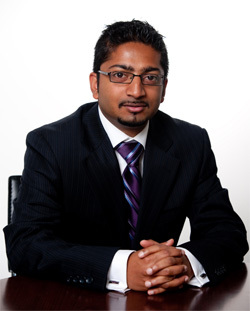 Thabojan Rasiah is a Private Client Adviser at Shadforth Financial Group and provides quality fee-based advice. Having worked in the personal financial services industry for 14 years, he was recently recognised as being one of the Top 50 Advisers in Australia by Wealth Professional in 2012 and previously by the Australian Financial Review’s 2011 Smart Investor Masterclass. He also appears on 3AW talk-back radio as a finance expert. Thabojan is a Certified Financial Planner (CFP®); CFP® is an internationally recognised mark and is currently the pre-eminent representation of professional Financial Planners around the world. As a member of the Financial Planning Association of Australia (FPA), Thabojan currently serves on the FPA’s Professional Designations Committee and previously served on the FPA’s Board Committee of Professionalism. He is also a Fellow of the Financial Services Institute of Australasia (FINSIA). Having worked with a number of boutique financial planning businesses before joining Shadforth Financial Group, Thabojan has enjoyed the experience of helping clientele from varied backgrounds from young wealth accumulators through to high net worth clients. In particular, Thabojan has developed specialist knowledge in providing advice to Medical Practitioners and in Aged Care. Prior to becoming a financial adviser, Thabojan successfully completed a Bachelor of Science/Bachelor of Commerce Double Degree, with Honours in Finance and Econometrics at Monash University. He has also studied a Graduate Diploma of Financial Planning with FINSIA and is currently undertaking a Masters in Applied Finance and Investment.